The Fox & Hounds was robbed on Sunday. Two men wielding hammers ordered staff to open tills and a safe at a pub in Northampton. Between 10.15pm and 10.35pm on Sunday (April 23), two men entered the Fox & Hounds pub, in Harborough Road, Kingsthorpe. 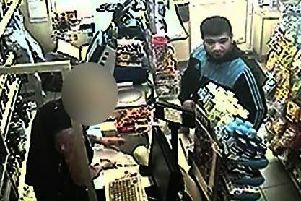 They demanded staff hand over money from the tills and safe and escaped with a quantity of cash. One of the men is described as white, about 6ft, with a slim build. He was wearing dark clothing, a dark-coloured balaclava and was carrying a black draw-string bag. The second man was also white, about 5ft 6in with a stocky build. He was also wearing dark clothing and a dark-coloured balaclava. Witnesses, or anyone with information, are asked to contact Northamptonshire Police on 101. Alternatively, they can call independent charity Crimestoppers on 0800 555111.